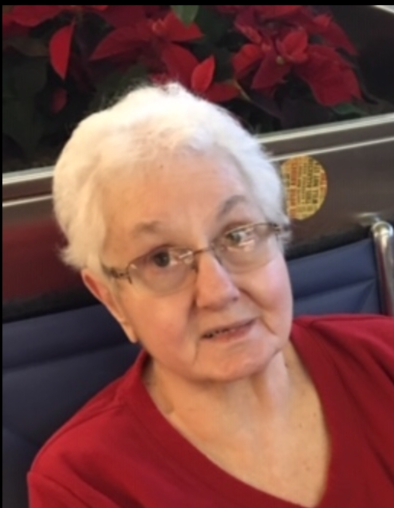 Obituary for Loretta A. Besong | John Syka Funeral Home, Inc.
Loretta A. Besong, 80, of Baden, passed away peacefully on Tuesday, February 5, 2019 in UPMC Cranberry Place with her loving family by her side. She was born November 30, 1938 in Ambridge, to the late Alex and Josephine (Serafine) Bufalini. She was a cashier for the former Eckerd Drug Store in Ambridge, retiring with 30 years of service and a member of Good Samaritan Parish, Ambridge. Loretta enjoyed playing pinochle and bingo and looked forward to the family reunions. Her passion in life was spending time with family and friends, especially her grandchildren and great-grandchildren. Preceding her in death, in addition to her parents, were her husband Thomas G. Besong, a brother, Fred Bufalini and three sisters, Ange DiVito, Clara Pugliano, and Lillian Porpora. Surviving are two daughters, JoElla Besong of Harmony Twp. and Tina Cordell of Moon Twp., five grandchildren, Sara (George) Portoulas of Baden, Rebecca Shingleton of Sewickley, Thomas (Sable) Cordell of Freedom, Joseph Cordell of Baden, and Annie Cordell of Bellevue, two great-grandchildren, Felicity Portoulas and Samuel Wawrykow, brother, Anthony (Charlene) Bufalini of Center Twp. and a sister, Flora Garafola of Claremont, FL. along with many nieces and nephews. Friends will be received Friday from 2-8 PMin the John Syka Funeral Home, Inc. 833 Kennedy Dr., Ambridge where prayers will be offered Saturday at 9:00 AM followed by a Mass of Christian Burial at 9:30 AM in Good Samaritan Catholic Church. Interment will follow in Good Samaritan Cemetery. In lieu of flowers, memorial contributions are suggested to St. Judes Childrens Research Hospital, Memorials Processing, 501 St. Jude Place, Memphis, TN 38105-9959.